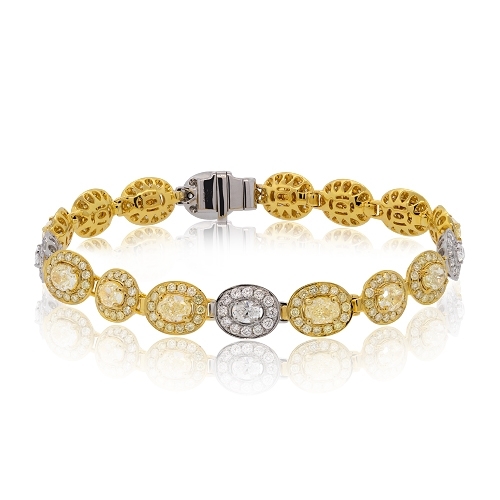 18k two-tone diamond bracelet composed of round & oval shaped brilliant yellow & white diamonds. Diamonds approx. 8.05ct. Bracelet 6.75"